These old Avon snowmen just keep finding me. 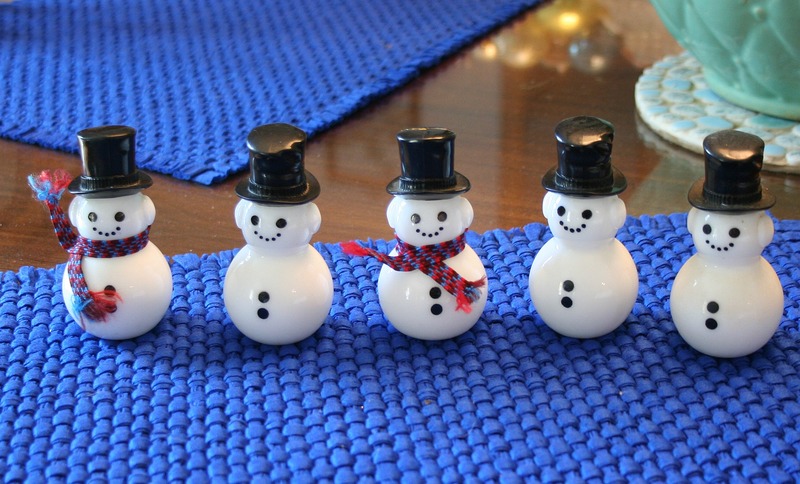 They are about 3 inches tall, made of milk glass and their hats screw off. They held Sweet Honesty cologne so they smell pretty good too. I have one of these, sans the scarf. I wish I still had the scarf. My mom sold Avon back in the 70s and I’ve had it since then.